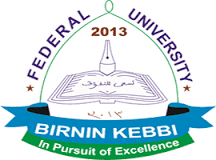 The Federal University Birnin-Kebbi, FUBK Second Semester Resumption Date and Lecture Commencement Notice for all New and Returning Students for 2017/2018 Academic Session. This is to inform all students of the Federal University Birnin-Kebbi, FUBK that the Second Semester Resumption and Lecture Commencement Date for 2017/2018 Academic Session has been announced. All students both old and new are therefore informed that the resumption date for the 2nd semester academic activities for the 2017/2018 academic session is on May 6th, 2018. All students of the University are to also note that the Second Semester Lectures for the 2017/2018 Academic Session Commences on Monday, 7th May, 2018.